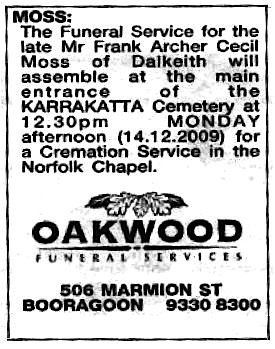 With great sadness report that Frank Moss passed away peacefully with his family at his side on Tuesday 8th December, 2009. 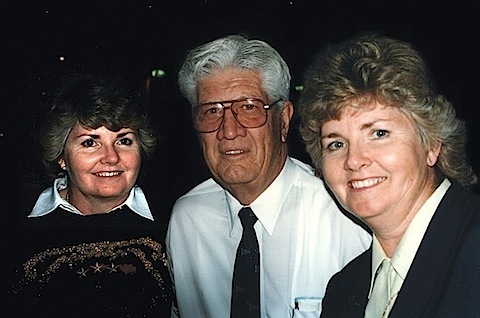 Frank is fondly remembered by many former TVW staff…. 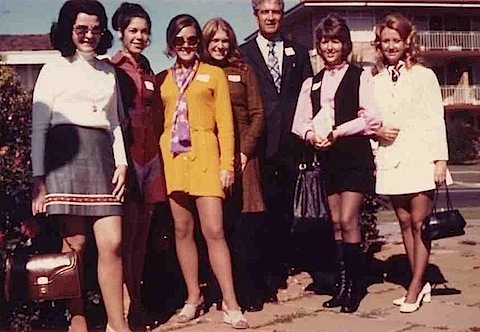 It was sad to learn of the death of Frank Moss, one of the stalwarts of the old guard. Frank was also an important part of the Seven Ex group of enthusiastic former TVW employees who engaged in fund raising for Telethon. Keith Spice said, “Sad news. Frank was a true gentleman, great company and a regular attendee on our deep sea fishing trips (Exmouth Expeditions) in the 80’s. Rest in peace Frank”. After five and a half years in the R.A.A.F. as a signals officer, Frank Moss did a Commonwealth Reconstruction Training Scheme course in accountancy and cost accountancy. Then followed eight years as factory manager and company director of David Gray and Co. 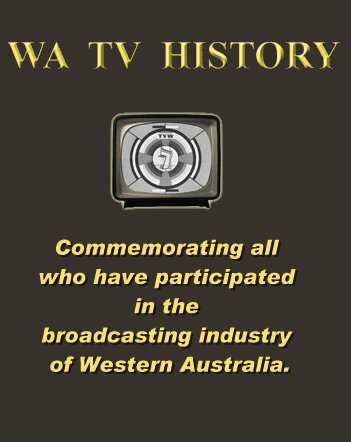 He was appointed secretary of TVW in January of 1959, and soon after became deeply involved with the business affairs of the embryonic television station, making payments as the building went up and equipment was purchased. 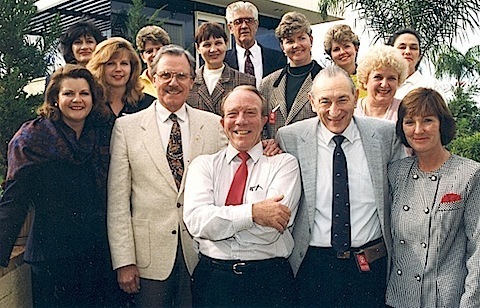 Darcy Farrell points out that Frank Moss was an unsung hero of Channel Seven, and should be recognised for his humanitarian role with in the organisation. The success of TVW in the early years owes much to the sacrifices key people made meeting deadlines and keeping facilities going under often stressful situations. Most managers were pushing themselves and staff to the limit, and had little time for counseling those in need. 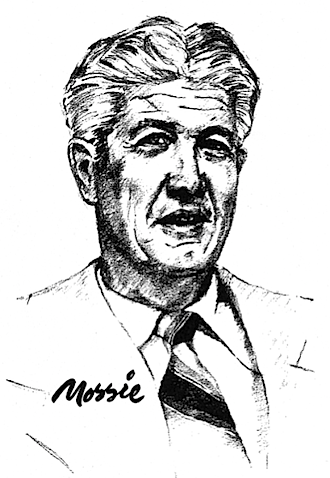 It was always Frank Moss who had a sympathetic ear to people under stress, and his help and advice was a most significant part of the operation, keeping it going when other people were often too busy with the job demands. 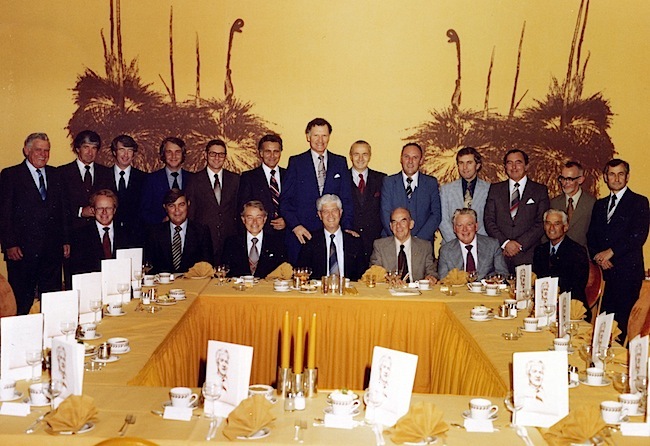 A retirement dinner was held at the Sheraton Perth Hotel on Thursday, September 20, 1979, to commemorate Frank’s valued service to the company. In attendance were the following members of the Board, management and colleagues… as shown in this group photograph taken by Douglas Joseph Burton. I am one of the lucky ones who worked at TVW during his tenure. A gentleman he was; a long life he lived; what a wonderful legacy he leaves behind. I will always remember his infectious smile. I am proud to have known him. Sad news. 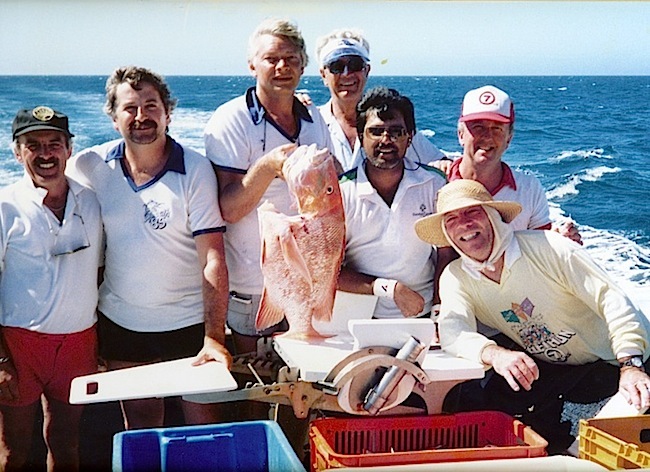 Frank was a true gentleman, great company and a regular attendee on our deep sea fishing trips (Exmouth Expeditions) in the 80’s. Rest in peace Frank. Frank was such a lovely man and was a psuedo grandfather figure for me over many years. Though with his good looks and never failing energy, he never quite seem to match his actual years. He was always enthusisastic and took a true interest in mine and other people’s achievements. It seems to be a phrase being repeated over, however he really was a true gentleman, whose integrity I greatly admired. Have just seen the site and read the news – so very sad. As so many have said – what a caring and considerate fellow staffer and a true gentleman. It saddened me greatly to hear of the passing of Frank Moss. He was as they say a fine gentleman. A man of wonderful humour…. That was a sight to behold. We were up there to cover the Fremantle- Bali Yacht Race. I was so sorry to have missed his farewell. I have only just opened this TVW website – Dad’s funeral was yesterday – and I am deeply moved by the wonderful tributes and comments people have posted here. I can laugh through my tears. Thankyou to all those from the TVW family who attended yesterday, and thankyou to Jeff Newman for his very kind words. We are all terribly sad to have lost Dad, but he managed to cram and extraordinary amount of living into his 89 years, and is now enjoying a well earned rest. 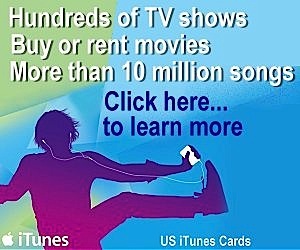 I saw Kempy last night who told me about this site. All the people who have posted comments, thank you, thank you and again thank you. Your comments are truly lovely and I appreciate them so much. It was lovely to have so many TVW people at the funeral, mum appreciated it so much. I would have loved to have personally said thank you to everyone, but did not get the chance. Jeanie, finally a photo of Dad and me when I was a baby! Pity we didn’t see this before the funeral! All the TVW family know it, Dad really loved working with all of you. You have created a fantastic organisation and it was only done with a real team/family effort. You all meant a lot to Dad. 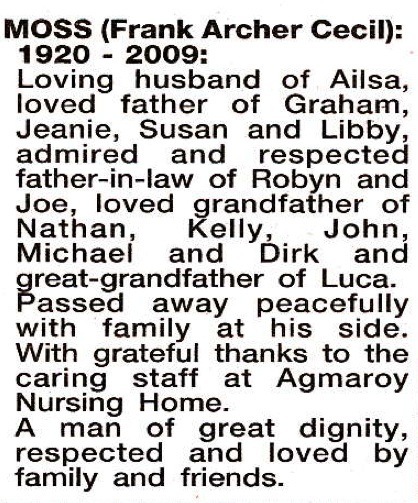 He had a wonderful life with us all and I am honoured that he was my father, respected by so many. When he retired from full time employment at TVW and was Director of Finance and Administration he loved going out to TVW to catch up with everyone. I think we are all truly blessed to have had him in our lives, he is going to be greatly missed. I have been associated with Frank for over 40 years. His ability to seek out good share investments and his friendship and good humour over many phone calls will be missed. He was a delight to do business with. The last of the true gentlemen. A great fishing mate and mentor. Always willing to share his knowledge and wisdom. My sympathy to the family, will be greatly missed. I worked with Frank for the Telethon concerts at the Perth Concert Hall for many years. I was saddened to see that he had passed away and would like to pass on my sympathy to his family and friends. He was a truly remarkable and cheerful man with so many good qualities.